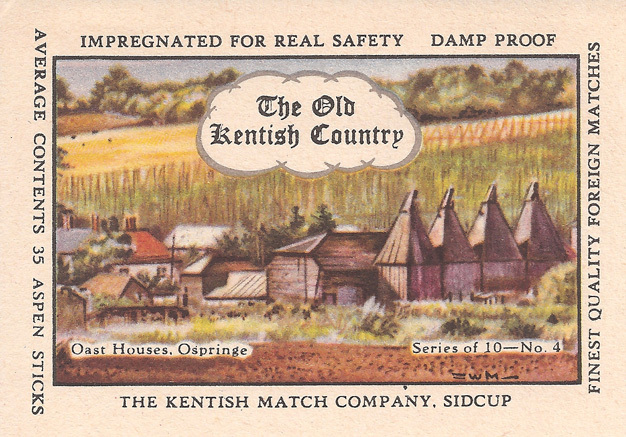 Ospringe is a village in Kent, England. 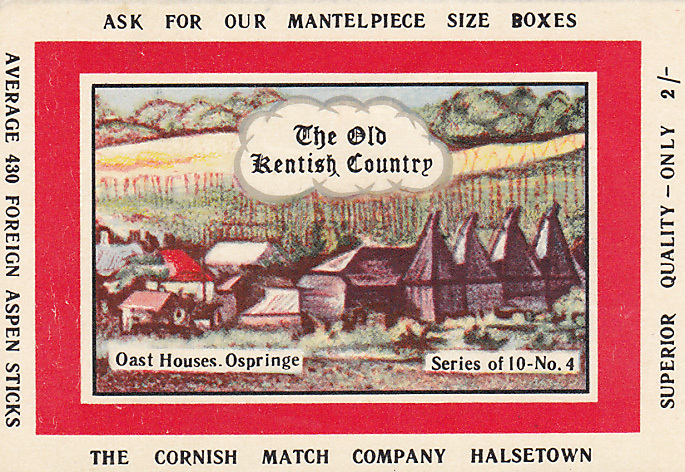 The village grew up around two major hop farms which date from the C16th. 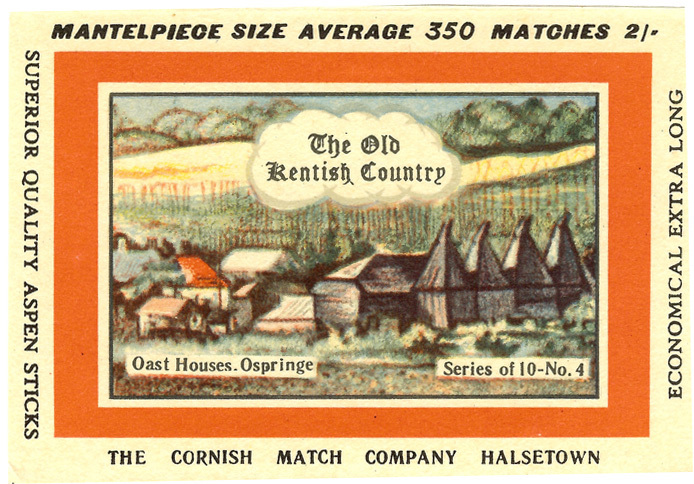 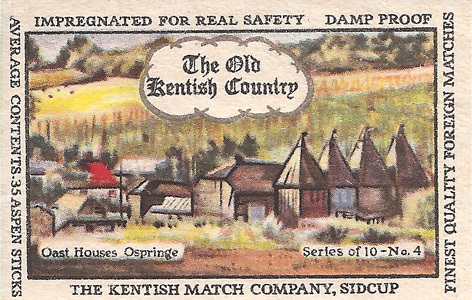 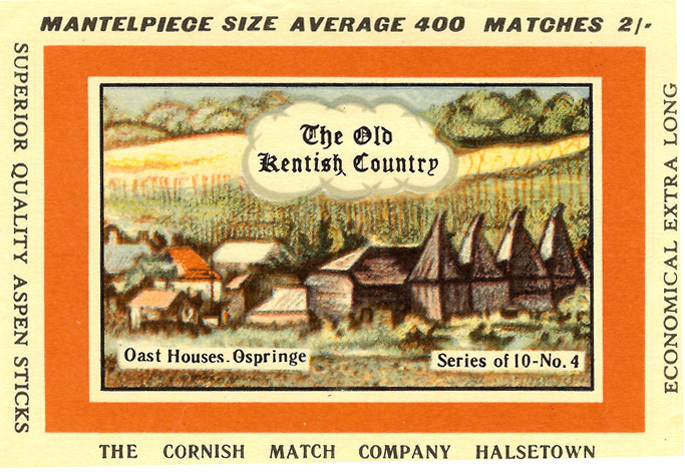 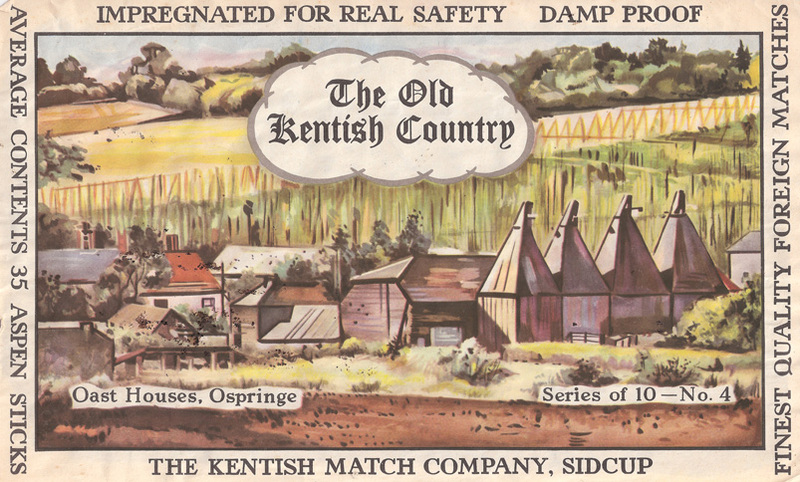 This illustration shows the oast houses, or drying kilns, that were used as part of the processing of hops, which used to be a major employer in Kent.